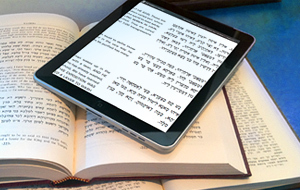 The Zohar is not meant to be regarded the way we regard other books. It is a force of spiritual energy embedded in the pages of a book. It is a powerful energy-giving instrument, a life-saving tool imbued with the ability to bring peace, protection, healing and fulfillment to those who possess it. For thousands of years, kabbalists have taught that the Aramaic words encoded in the Zohar portion of Lech Lecha offer a direct connection to the energy of soul mates. When we connect to Lech Lecha—an aspect of soul mates is not only awakened in us, but in the world as a whole. You can connect to Lech Lecha in four ways. The eye truly is the window to the soul. As such, it reads much more than mere letters on a page. By scanning the Aramaic words of the Zohar portion of Lech Lecha—from right to left—our eyes gather the energy of Soul Mates and we begin to change the very frequency at which our souls operate. לֶךְ לְךָ מֵאַרְצְךָ וגו'. ר' אַבָּא פָּתַח וְאָמַר, שִׁמְעוּ אֵלַי אַבִּירֵי לֵב הָרְחוֹקִים מִצְדָקָה. שִׁמְעוּ אֵלַי אַבִּירֵי לֵב: כַּמָּה תַּקִּיפִין לִבַּיְיהוּ דְּחַיָיבַיָא, דְּחָמָאן שְׁבִילֵי וְאוֹרְחֵי דְאוֹרַיְיתָא, וְלָא מִסְתַּכְּלָן בְּהוֹ, וְלִבַּיְיהוּ תַּקִּיפִין, דְּלָא מְהַדְּרִין בִּתְיוּבְתָּא, לְגַבֵּי מָרֵיהוֹן, וְאִקְרוּן אַבִּירֵי לֵב. הָרְחוֹקִים מִצְּדָקָה: דְּמִתְרַחֲקֵי מֵאוֹרַיְיתָא. To continue scanning the Zohar for soul mates, use the Zohar scanning chart. The kabbalists teach that every time we utter a word from the Zohar, it helps to remove some negativity from our being and replace it with blessings in a kind of soul transfusion. After scanning the Zohar portion of Lech Lecha in Aramaic, read the English translation aloud. As the Light mimics us, so too the way we engage with the Zohar will be reflected by the universe. The more you bring the Zohar into your life, the stronger your connection to the Light becomes. 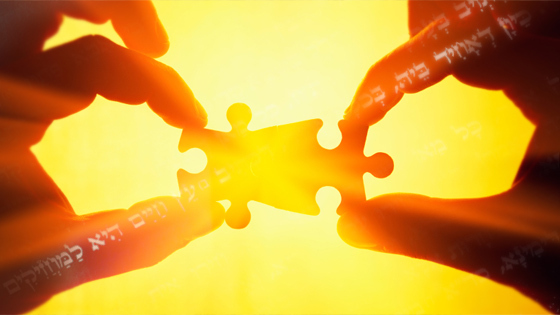 Connecting with a spiritual teacher to study the wisdom contained within the Zohar portion of Lech Lecha is a hugely beneficial next step in connecting to the energy of soul mates, and one that you can take at any time. To continue studying the Zohar for Soul Mates, visit Kabbalah University. According to the kabbalists, the Zohar is the greatest gift possible to give or receive in this world. When you share the wisdom and energy of the Zohar portion of Lech Lecha with friends and family, you help to bring and strengthen the energy of Soul Mates in your life and in the world as a whole. To continue sharing the Zohar for Soul Mates, join the Zohar Project.